Two sets of 13 questions that can be used to practise or reinforce the past simple. Give students some time to prepare and then let them practise in pairs. They should not show each other their questions; this doubles as a listening exercises. 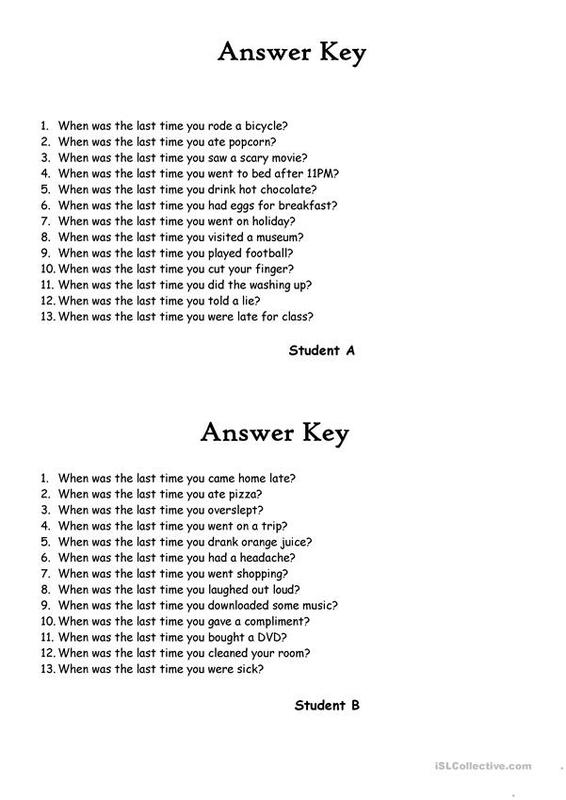 Encourage students to answer the questions as well as they can. Follow-up questions should be encouraged. This downloadable teaching material is a great resource for high school students, elementary school students and adults at Elementary (A1), Pre-intermediate (A2) and Intermediate (B1) level. 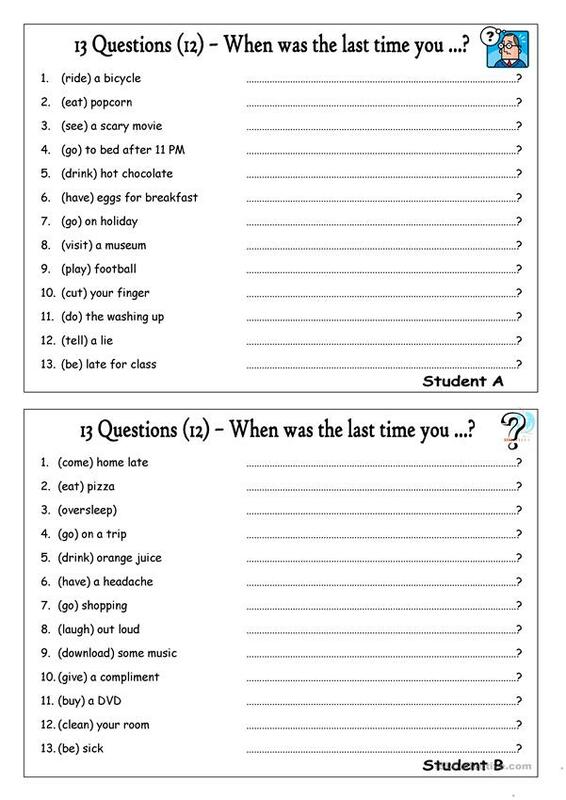 It is aimed at consolidating Past simple tense in English, and was designed for honing your class' Listening and Speaking skills. The solutions are provided, too.